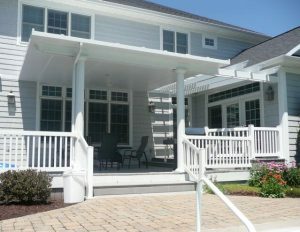 SRA Home Products proudly carries a wide variety of patio covers for homeowners in the New Castle County, Delaware, area. All of our patio covers are manufactured by TEMO, a leader in the outdoor living industry since 1967. Sunlight pavilion — Do you enjoy reading outside on warm summer afternoons, but often find yourself heading inside due to rain showers or extreme heat? If that sounds familiar, our sunlight pavilion patio cover is perfect for you. It features a polycarbonate roof that allows natural light to pass through, protecting you from precipitation and the sun’s rays. Thomas — If mosquitoes and other pests make it difficult for you and your family to dine outdoors, our St. Thomas patio cover can solve the issue for you. 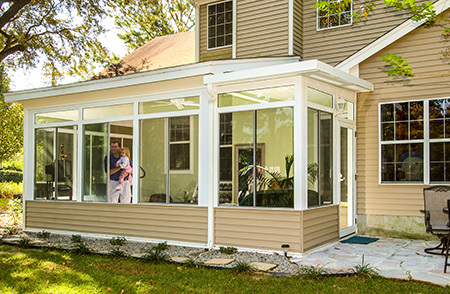 This model includes curtain walls that allow for optional retractable screens, which will keep insects away so you can enjoy your time relaxing outside. Santa Fe — Like our St. Thomas patio covers, our Santa Fe model includes curtain walls that provide you with the ability to add optional retractable screens. 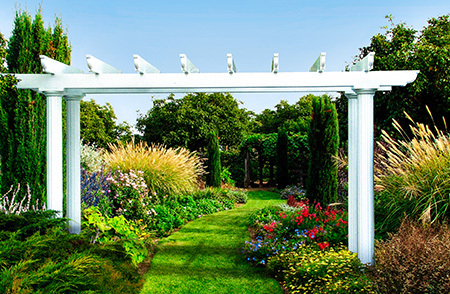 What sets the Santa Fe apart, however, is that it includes stylish, Mediterranean-inspired pergola trim along the roof. And, if you’re looking to shield your vehicle from the elements, we also offer carport-style patio covers. Like all of our patio covers, they are constructed using heavy-duty, fully extruded aluminum, which is stronger than wood, vinyl, and roll-formed aluminum. This exceptional material will stand the test of time, as it resists rotting, deterioration, and insect infestation. Plus, our patio covers feature a TEMKOR polymer coating, which protects against chalking, fading, scratching, peeling, cracking, denting, and warping. For more information about the wide selection of patio covers we offer to homeowners in the New Castle County, DE, area, please contact SRA Home Products today.